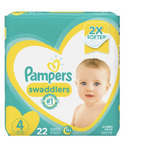 These diapers have been life savers for our little one. We have a light sleeper who we took pains to sleep train overtime. If he was wet it would wake him. Our regular daytime diapers would leak during the night so we looked and found Huggies overnight - they are the best and never leak. We love them and have used them since we discovered them. This is a purchase I never regret! These were my absolute favourite when my daughter was around 1 years old. They have a great absorbing power making your baby have a relaxing sleep. With these my baby never woke up sue to wetness or leakage. Plus, these are super soft and comfortable for babies. I would highly recommend it to all the mothers! These are amazing! Where perfect for my son! 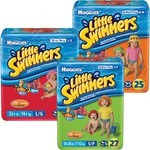 I bought the big box of this variety of Huggies to use when our 21 month old grandson spends the night with us. They work great and he doesn't wake up in the night crying from a wet soggy diaper. I love Huggies and have relied on them for years!! These cant be beat when looking for a product to provide protection overnight while being incredibly absorbent. We needed to swtich to thease at night for our first child as he needed the protection at night! My Son was cloth diapered throughout the duration of his time in diapers. But at 3 he sometimes has issue wetting the bed, not often but it happens. I tried using pull-ups & even those "good nights" but the "good nights" type ones were SO expensive & it just seemed ridiculous. We use these now & they have never leaked, come off, broken, nothing. Very pleased with them.